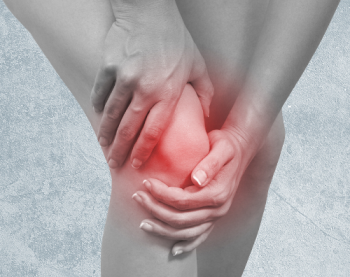 Knee pain is a common ailment, and knee related problems can occur in people of all ages. The knee is a vulnerable joint as it takes a lot of stress when you walk, run, jog, climb, and jump. Knee pain can be caused due to various reasons. So, if you get knee pain when walking then it is important to find the exact cause of the pain. The common symptoms of knee pain include constant ache, burning sensation, discomfort, shooting pain when the knee is in use, and much more. Meniscus tear occurs when there is a tear or rupture in one or more of the cartilage in the knee joint. You will suffer from severe pain especially when walking. Also, there will be swelling and you won’t be able to straighten your knee. Tendonitis happens when there is an inflammation of the tendons. If you are suffering from Tendonitis, then you will have swelling in front of the knees. There will be severe pain while walking, climbing stairs, jogging, and running. Bursitis occurs when there is irritation or inflammation of the cushioning fluid sacs in the knee. It usually happens when there is repeated injury in the knee. The main symptoms of Bursitis are stiff and swollen knee. Also, even when you are not walking, you will still feel the pain. The symptoms of knee arthritis are pain while walking, swelling, and stiffness. You need to visit the doctor to know the kind of arthritis you have; viz. osteoarthritis, post-traumatic arthritis, or rheumatoid arthritis. When there is a tear in one of the four ligaments in the knee, you will suffer from a lot of pain. The pain will be chronic and you won’t be able to walk. In the next post we will show you some useful tips for treating knee pain. Stay tuned!